Most homeowners are looking for a top quality shingle yet often don’t know the difference between some of the top brands. GAF and CertainTeed have reputation for being among the best and they are commonly compared. We have a favorite: GAF. We’re one of the select few Master Elite® certified roofing contractors, and our experiences with their products are always positive. For homeowners looking for a high-end, long-lasting roof that doesn’t break the bank and that they don’t have to worry about, our go-to recommendation is GAF Timberline HD®. But some customers have heard that CertainTeed offers a better product, so we would like to clear up why we prefer GAF. The first place you want to look when evaluating a roofing shingle is the reputation of the manufacturing plant you’ll receive your shingles from. Even when one company might have the same product with the same name and the same specifications, the quality of the product can vary greatly depending on where it is manufactured. GAF as a whole has not had an unblemished history. Several of its manufacturing facilities underwent a class action lawsuit that settled in 2015. This may be a contributor to why some homeowners are cautious about using GAF shingles. However, when history is broken down by facility, the story changes. The plant that manufactures all GAF products in our area of the Pacific Northwest, Gaf Shafter Shingle Plant, has a phenomenal track record. The plant creates the best shingle we’ve seen. While there might be cause for concern in some plants in some parts of the world, over here in the Pacific Northwest, our GAF shingles are about as good as it gets. Much of what people say about different shingles doesn’t take this information into account. A person who has a great experience with GAF may live in the Pacific Northwest yet not mention that when discussing his or her experience. The inverse can be true of somebody with a poor experience. If the manufacturing origin of the shingle is unknown, people discussing their experiences online can be misleading. CertainTeed’s history isn’t unblemished either. In 2009, the company settled a number of class action lawsuits for defective organic shingles. There have since been similar reports of CertainTeed asphalt shingles malfunctioning in the same manner. This doesn’t mean that CertainTeed shingles should be avoided. Instead, it means the same thing that the storied history for all shingle manufacturers means: the facility in which the shingles that will go on your roof matters. The next step is to evaluate the fine print of their warranties. GAF and CertainTeed both boast top notch warranties, but with some key distinctions. We believe that the GAF warranties are more secure. GAF’s language leaves less room for the company to void a warranty than CertainTeed’s language does. For example, CertainTeed states that “any shingles applied to inadequately ventilated or non-ventilated decks…are subject to a reduced limited warranty period of ten years and do not qualify for SureStart Protection.” The language allows CertainTeed to interpret ventilation adequacy and deny coverage based on that. Since most homes have ventilation issues, many homeowners with CertainTeed products might find themselves being denied warranty coverage after their shingles fail. GAF doesn’t have such language and homeowners are not at risk of being wrongly denied warranty coverage for this reason. An additional yet key difference in warranties is who conducts the installation. GAF’s and CertainTeed’s highest warranties (Golden Pledge® and SureStart™ PLUS, respectively) may boast the same 25-year workmanship warranty, but that doesn’t mean that the probability of the homeowner having to call in the warranty is the same. Who is allowed to provide each warranty? CertainTeed only allows its 5 Star SureStart Plus warranty to be offered by its SELECT ShingleMaster™ contractors. GAF’s highest level of contractor, Master Elite®, are the only who can provide the Golden Pledge warranty. 3% of GAF contractors are Master Elite. The number of CertainTeed contractors that are SELECT ShingleMaster is a difficult number to come by. By my calculations, there are approximately 2 and a half times as many SELECT ShingleMaster contractors than Master Elite contractors. This means that if quality of installation and warranty are top priority to you, if you go with GAF’s most secure offering, the contractors installing the material are in the top 3% of contractors. If you go with CertainTeed’s top offering, the contractors installing the material are in around the top 7.5% of contractors. 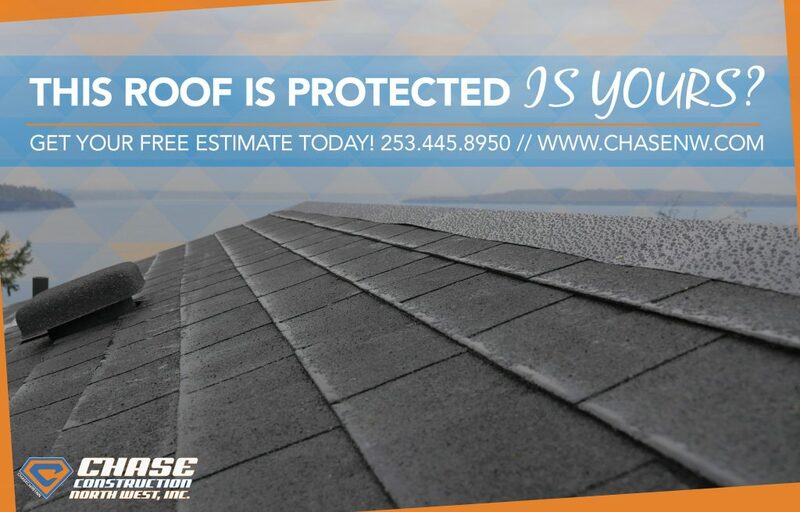 For something as important as your roof, this can be a big difference. The larger pool of contractors providing CertainTeed’s top warranty means there is a higher probability that the installation may not be as good. What is your experience with these different shingle manufacturers? We would love to hear about it in the comments below! Looking for a awesome shingles and you can’t decide which kind? CHASE CONSTRUCTION NORTH WEST, INC. wants to help! We have extensive experience with every kind of shingle and want to help you find which suits you best! We’ve been a family owned business since 2002 and have been GAF MASTER ELITE® certified for 8 years and counting! Give us a call at 253-445-8950 or fill out our quick estimate form!